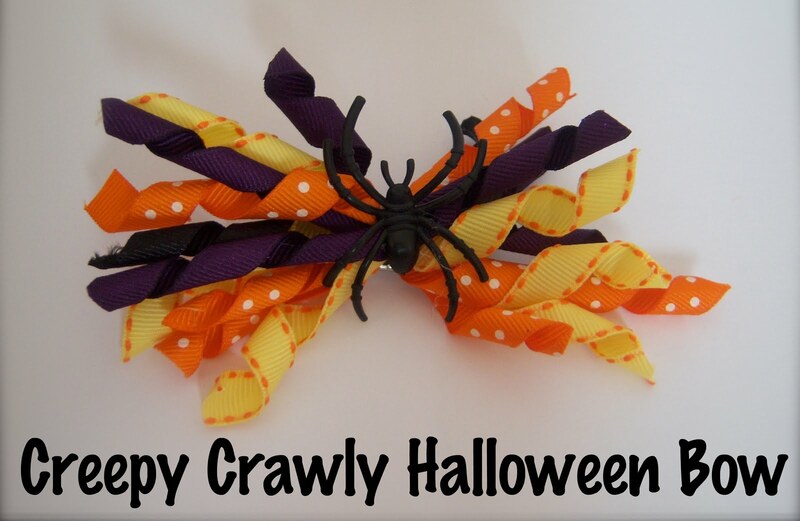 Inspiring Creations: Creepy Crawly Halloween Bow! I couldn't let Hannah wear her Halloween skirt without some matching hair bows! I had extra ribbon from her wand project...so I made some korker bows and added a plastic spider to the middle to make them creepy crawly Halloween bows! I just hope she'll wear them....she's scared of the spiders! I guess I'll have to put them in without her looking! I love the spider! Thanks so much for the great idea, I'll be linking.